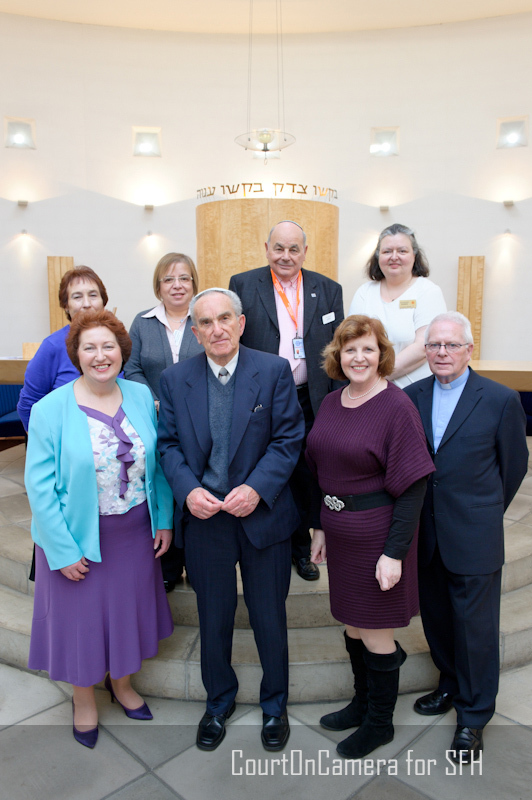 On Saturday the Hospice had its first Light up a Life service at a Synagogue – the South West Essex and Settlement Reform Synagogue. It was a beautiful service led by Rabbi Goldstein who has a long history of working with the Hospice, and was a Patron for many years. The service was a real reminder of how the Hospice and it’s services are available for all residents from all faiths and cultures. The service had a number of volunteers from the hospice and a big thank you to Evelyn for helping make this historic service possible. This entry was posted in Fundraising at St Francis, Fundraising Saint Francis Hospice and tagged Light Up a Life, South West Essex and Settlement Reform Synagogue, SWESRS. Bookmark the permalink.